The object of Hearthstone is to bring your opponent’s life points down to zero, so it stands to reason that Ice Block, a Mage-specific card that makes that literally impossible to do for a whole turn, is pretty strong. 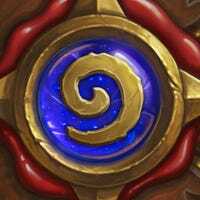 So strong, in fact, that starting with the next expansion, Blizzard is moving the card out of the game’s Standard mode of competitive play. In the coming days, people will look back on Ice Block with wistful nostalgia. Someone on Reddit will probably write the thing an obituary. Don’t listen to them. If anything, the card deserves more unhinged fiery rage than it’s already gotten, and for this inaugural installment of Kotaku’s Hearthstone Card of the Month, I’m making the express decision not to pour one out for Ice Block. Instead, I’m sending it off Viking-style, that is: I will float it out to sea, lob a flaming arrow in its direction, then watch as it’s consumed by a grand ceremonial pyre three meters high. A few turns later, I saw a light at the end of the tunnel. The Mage was out of board clears, and with a hulking army of minions, I slammed the Mage’s face until the lethal blow. Then... devastation. The word “Secret!” popped up, indicating that I’d triggered the Mage’s trap-like Secret card, and there it was: Ice Block, an Epic rarity card that I’d never seen before, which read: “When your hero takes fatal damage, prevent it and become Immune this turn.” I couldn’t even target the Mage anymore. I was livid. Two Fireballs to my face later, the game was over. There’s a singularly awful feeling that hangs over you when you lose this way. With no agency over the game whatsoever, you feel helpless, like you’re lost in some fatalistic time loop where nothing you did mattered and the game you thought you’d won was actually lost three turns ago, when the Mage topdecked the final card in their combo. What could I have done differently, you think to yourself. Well, you could’ve run a deck that killed the Mage before they could amass the damage to kill you. You could’ve focused more toward bringing them down to low health earlier in the game. You could’ve conceded a turn sooner. And that’s the most frustrating thing about Ice Block: Sometimes, it feels like there’s simply nothing you could have done to win. Either your deck was weak against it, or the Mage got a perfect set of draws. 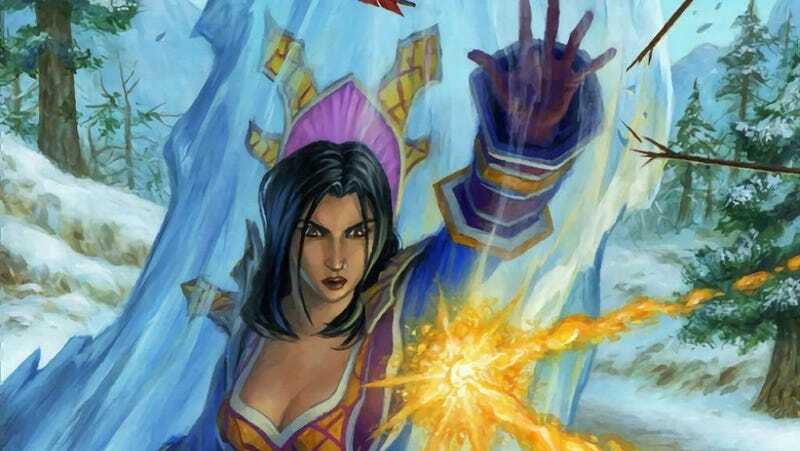 There’s not really an in-between, and that might be why Ice Block-reliant Mage decks, in their many nuanced iterations, have remained a cornerstone archetype of Hearthstone since the game’s earliest days. In announcing that Ice Block would finally be rotating out of Standard play with the next expansion, Blizzard did little to romanticize the card’s long reign of terror. “It’s time to make more room for new Mage decks in Standard,” the post said benevolently, as if to gently lay the card down for the last time. Once Ice Block is gone, it’s hard to imagine what Mages will have to do to make up for that burst of survivability. But facing the future, while difficult and often terrifying, can be a good thing. I, for one, would much rather get destroyed by a variety of overpowered cards than by the same one for almost half a decade.